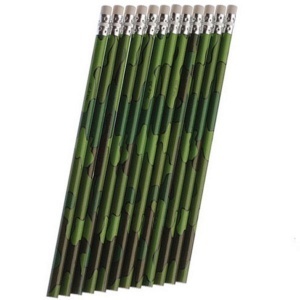 Camouflage Military Army Greens Party Favours. Grey Lead (Graphite) Pencils with Eraser. Pack of 12 - 19cm.